A houseboat cruise is the best way to experience the tranquillity of the waters, to see glimpses of the lives of people who are shaped by them, to gape in awe at nature’s best kept secrets, to find recluse from the urban grind. Your Houseboat :The houseboats, or kettuvalloms as they are called in Malayalam, were originally built to carry consignments of grain and other produce along the waterways. The name 'kettuvallom' literally means a boat tied with knots. Each component of these magnificent rice barges is built from organic products such as bamboo, coir and areca nut palm bark. The boat itself is made from the bark of a tree called anjili. The original kettuvalloms were famous for the way in which they were built; with not a single nail being used in their construction and everything tied or sewed together. These days, brass nails are used to improve longevity of the boats. The boat uses sturdy seasoned bamboo on the inside and the roof is thatched with bamboo mat and held together by coir. The decks are laden with coir matting and the distinctive canopy uses split bamboo lashed together with coir and covered with palm fronds. Except for the bathrooms that use ceramic, everything on the boat is made from organic material. Powered by 40 HP engines and the enthusiasm of the boatman (your captain) you can be assured of the experience of a lifetime. Houseboats come in different sizes which are mainly dependant on the number of bedrooms required, typically from one to three. There are also boats with up to 10 bedrooms ideal for groups. Regardless of the size, each houseboat offers the best of luxury and comfort. As you embark on your houseboat cruise you will be welcomed with tender coconuts (the ultimate natural energy drink) and introduced to your private crew: your captain, personal chef and a housekeeping staff, all at your service for the length of the cruise. The frontage has a well appointed sun lounge. As you cruise along during the day, you can sit back on the comfortable seating on the deck and watch the waters and the palm fringed shores drift by. Polished wooden flooring is used throughout the boat which, along with the wooded ceilings, gives the boat a special aura. Come mealtime, your living room is converted into a cosy dining area. The houseboat generally offers Kerala cuisine (note: this includes fish caught fresh from the backwaters) prepared on the boat by your personal chef. The bedrooms are air conditioned and equipped with modern facilities. Modern en-suite bathrooms are provided for every bedroom. 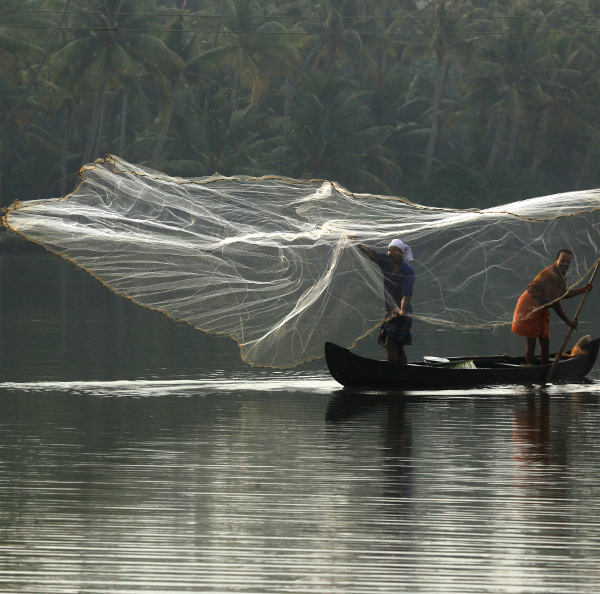 Comfortable beds, crisp linen and canopied mosquito nets will ensure a good night’s sleep in the backwaters. Life around you: Local life will unfold before you as an unassuming people go about their daily chores, having clearly adapted their ways to the water. As the boat floats through a maze of canals, you will see along the bank, women doing daily chores like washing clothes, children swimming and fishing, unassuming locals sitting by the banks reading newspapers – all undaunted by the activity around them. Other interesting activities to witness are coir making, rice farming on reclaimed land and copra (dry coconut) drying. Your captain will moor the boat alongside beautiful villages where you can disembark and explore the picturesque flaura and fauna. Weather permitting, your boatman will moor you in the lake itself giving you the chance to be in a world of your own. If the waters are choppy however, you will dock along the bank with your bedroom facing the waters.You may also want to drag yourself away from the opulence of your houseboat to experience a village walk. You can watch the stars or lie on your comfortable beds listening to the sound of the water gently lapping against the hull and find yourself transcending into another world of peace and tranquillity. Needless to say, a houseboat cruise on the backwaters is one of the ‘not to be missed’ experiences in Kerala. If you are someone who loves boats, then we would recommend spending more number of nights on the houseboat. 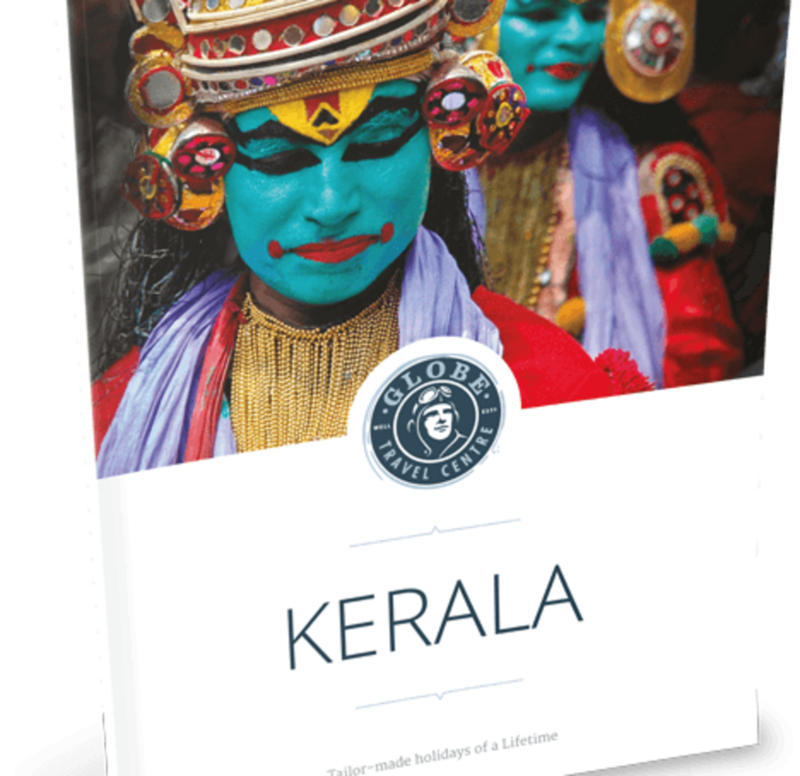 Speak with one of our Kerala experts and they will tailor-make your tour to include two or more nights on the houseboat. With more nights, you have the option of taking longer tour routes covering other parts of the lake. You can also include other backwater experiences on a longer houseboat stay like stopping off at a wayside ‘Toddy’ shop to sample the drink most famous in Kerala, indulge in fishing for backwater fish, go for canoe excursions of the narrower backwater channels, visit coir making units or stop off to visit the many quaint churches and temples along the backwaters. Whatever you do, this is one experience that will stay etched in your minds forever.